Our effort, both with TrackMeNot and AdNauseam, has been targeted at the former. I don’t love advertising but I can tolerate it. When supporters of the current structures of behavioural advertising say this will be the end of all the innovation and free stuff on the web, our response is: no. Although this might happen if advertising itself goes away, it does not require the back-end tracking for survival. The design for the AdNauseam website is so wonderful, and was created by none other than Mushon Zer-Aviv. So why is software so complicated? Because we want to build complicated things. Things with lots of features and options. Things that require thousands of computers spread across multiple continents. Things that can go to Mars and back. Things that drive themselves on the freeway. These things that we want to build are inherently complicated. Software is just the distillation of that complexity. Software is complexity. Vice’s Ben Ferguson stayed at the Henn-na hotel which is operated entirely by robots. I’m not sure I buy his conclusion, that robotic labor will lead to human workers seeking to become “more human.” A more likely outcome, as with the “uber for …” scenario, is that jobs of the future will tend to become more robot-like as more work becomes automated. The other thing I was thinking was: robot labor will not organize into unions. At least not until they get sophisticated enough to rise up and destroy their human masters, BSG-style. I think they’re planning to add more videos in the series, so maybe some of these things will be covered. Is it really worth raging against the geographical pedigree of a plant introduced 200 years ago if it’s functioning to stabilize soil, feed late season pollinators, generate oxygen, cool the ground, and improve human mental health? Sure, there are villainous weeds out there (think Kudzu), but it’s all context-based, and plant communities that suffer from being overrun by a weedy villain are often not in the best shape to begin with. Make sure you scroll all the way down to see all the lovely weed portraits. See also: Next Epoch Seed Library on Ellie’s website. I’m also 100% in favor of writing up the thinking behind these kinds of choices. More of us should make a thing of it. Especially us pasty folk. Somebody went and turned all those Apollo program photo scans on Flickr into a time lapsed video. I guess this is the fastest way to look at all the photos in one sitting. Zeynep Tufekci on the broader little-u “uber for ____” economy. What if the reason Uber raises so much ire and anxiety is not about whether Uber, the company, fails its drivers better or worse than medallion owners fail their own drivers, but because the “uber for …” economy is threatening to make the lousy conditions for taxi drivers, once seen as a temporary job for first generation immigrants, into the jobs of the future? 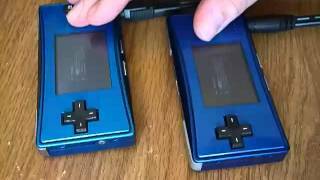 Minimalist composer Steve Reich’s Piano Phase performed on two Nintendo Game Boy Micros. See also: the same composition performed by human pianists. A former employee has digitized and uploaded 56 cassette tapes from K-Mart’s in-store sound system. A weekly internet radio show designed to help you focus. Streamed each Wednesday at noon, Pacific Time. Hosted by none other than Patrick Ewing (the game developer Patrick Ewing). Each week we attempt to induce a two-hour state of Flow in the listener: the sense that your work is carrying you along effortlessly like a log in a stream. Long, uninterrupted sets of instrumental music carefully selected as a background for doing creative work. I aim to energize and focus the mind without ever feeling distracting or alienating.